Nigeria's NAFDAC guidelines to obtain an import permit for pesticides, agrochemicals, and fertilizers - Law Firm in Nigeria - Lawyers in Nigeria. Lex Artifex LLP, law firm in Nigeria, has introduced the Food & Drug (F&D) Helpdesk to assist individuals and companies involved in the manufacturing, distribution, exportation and importation of regulated food and drugs products in meeting the requirements set by Nigeria’s National Agency for Food and Drug Administration and Control (“NAFDAC”). Below is the Nigeria’s NAFDAC guidelines to obtain an import permit for pesticides, agrochemicals, and fertilizers. The following guidelines are the condition precedents for the importation of pesticides, agrochemicals, organic fertilizer and fertilizers into the Nigerian territory in accordance with the NAFDAC Act Cap N1 LFN 2004. 1. 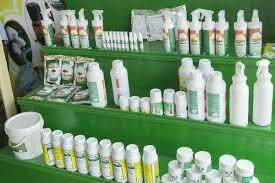 Your company must be duly registered in Nigeria with facilities to effect a recall of the product when necessary. 2. Prospective importers are to obtain the prescribed form on payment of the prescribed fee. The forms are to be duly completed and signed by the Managing Director and Technical Officer. d) Current Tax Clearance Certificate. e) Certified True Copy of Particulars of Directors-Form C07(New applicant only). h) NAFDAC Registration licence (Manufacturers only). 1. Application forms without supporting documents will be rejected. 2. Only the Technical officer and/or Managing Director are permitted to process the application to obtain a permit to import bulk pesticides, agrochemicals, and fertilizers. 3. 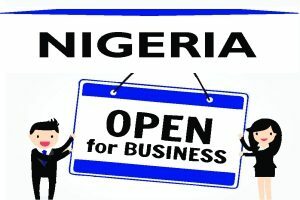 Importation without a permit attracts appropriate sanction. 4. Applicants must have a warehouse, which shall be inspected for conformity and suitability for the storage of products. 5. Warehouses located in residential buildings will not be approved for use. 6. The Agency must be notified of any change in the location of the company, warehouse, telephone number, or change of technical officer. Any change of the technical officer must be filed with the Agency along with supporting documents including the appointment letter, and acceptance letter. 7. Companies producing regulated products with imported pesticides, agrochemicals and fertilizers shall submit evidence of registration of all their products with the Agency or evidence of production approval (if new manufacturer). 9. Renewal of Permits commences from the 1st of November every year. While every possible care was taken in producing this regulation, information provided may not be completely accurate either because the regulation has changed since its preparation, or because other information about related policies was not available. It is highly recommended that manufacturers, exporters, and importers verify the full set of import requirements with specialist trade attorneys in Nigeria, who are the best fit on such matters with the Nigerian authorities. Lex Artifex LLP is the window for manufacturers, exporters, and distributors of regulated food and drug products seeking licensing in Nigeria and seeking access to the Nigerian market. We are the one-stop shop for legal compliance and due diligence services in Nigeria. We provide clients with legal guidance through every step of the trade process and beyond. To learn more about the Lex Artifex LLP’s Food & Drug (F&D) Helpdesk and how we can offer representation to you in Nigeria, please email: lexartifexllp@lexartifexllp.com; call +234.803.979.5959.